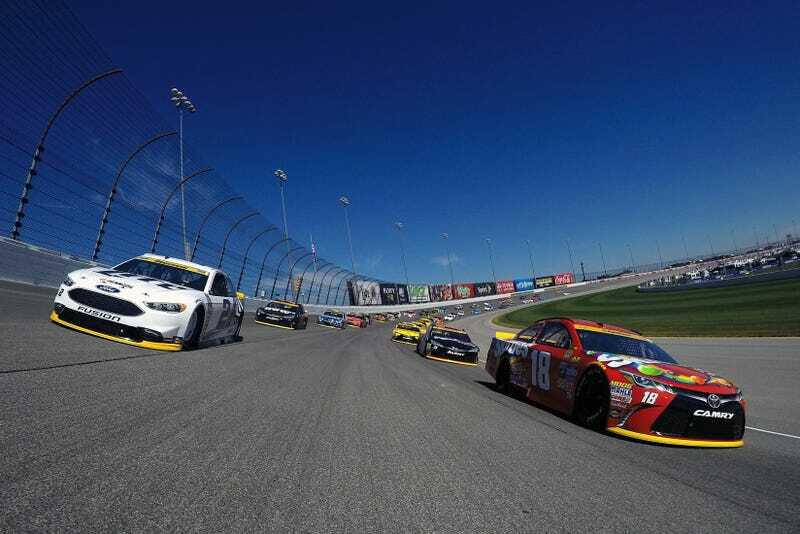 NASCAR’s championship season is now underway for all three of its top three series, as the Sprint Cup Series started their Chase in Chicago last weekend and the championships in the other two series begin on Saturday. (Anyone else think they should’ve worked this Chase among all three divisions to start at, well, the same time?) The Camping World Truck Series and Sprint Cup Series are at New Hampshire Motor Speedway for the weekend, while the Xfinity Series tacked onto an ARCA Racing Series weekend at the newly repaved Kentucky Speedway. Other than NASCAR, the only things showing on major broadcasts this weekend are NHRA and the MotoGP World Championship. NHRA is in its championship season as well, and this weekend’s Gateway Motorsports Park event marks the second of six title-deciding events. Meanwhile, Marc Marquez has a decent lead over the MotoGP standings with five races left. As usual, MotoGP coverage will be on beIN. While there isn’t as much live racing this weekend, there is always plenty of stuff on tape delay to hold you over until work starts back up on Monday. If you know of any additional streams or events going on this weekend, please feel free to share in the comments below.